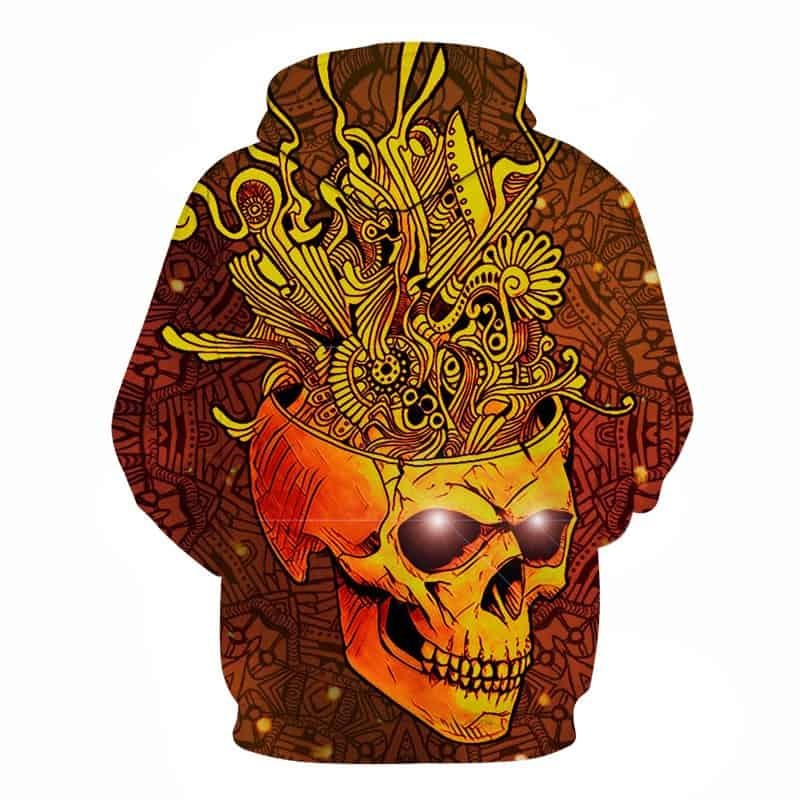 A cool concept featuring a skull with various creative patterns and objects stemming from the top of the skull. 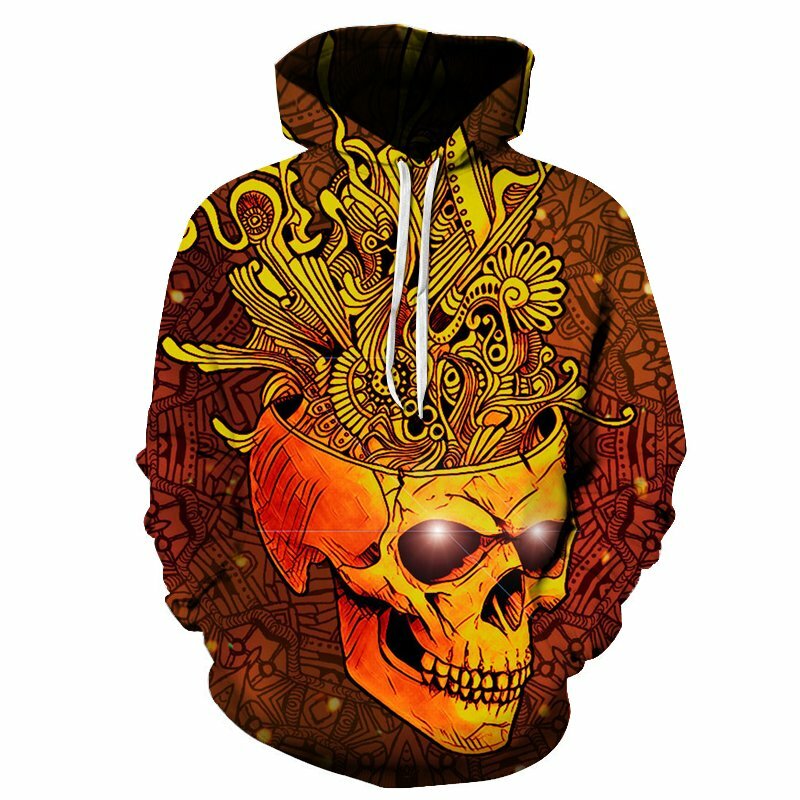 This creative skull hoodie is stylish with all the different colors and patterns that are used. The hoodie is comfortable to wear, looks fashionable and is wearable anywhere. It was designed for both male and female.